Harley 38mm veneer boardroom tables, real wood veneer boardroom table with 38mm thick top and stylish contrasting veneer inlay and banding. 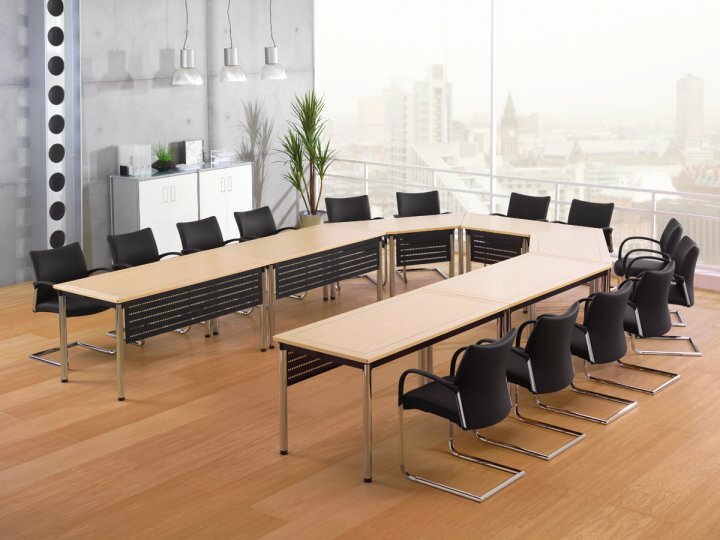 The Harley boardroom table is a modular system which allows the creation of a range of different sizes and styles, a feature which is not often found on veneer boardroom tables. The Harley range of boardroom tables has a matching range of storage, including credenza units with a built-in drinks fridge, this allows you to create a unified boardroom environment with a rich deep veneer finish. 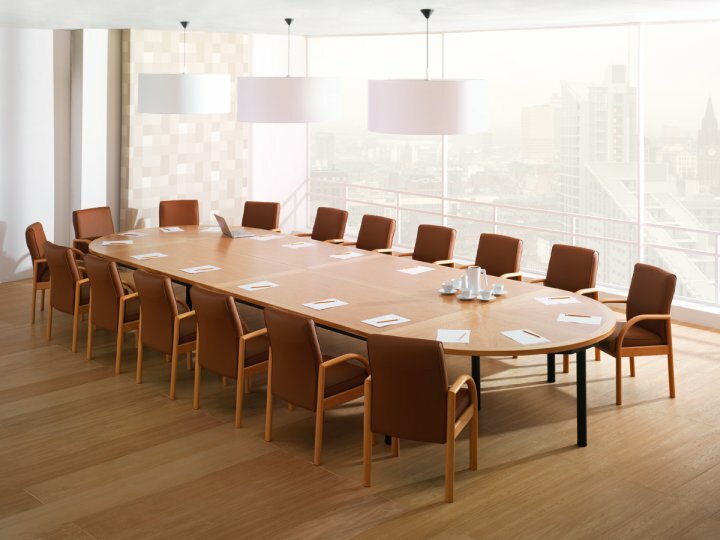 The Harley boardroom tables are available in a range of veneer finishes and various leg colours, so you can be sure to find exactly the combination you require. 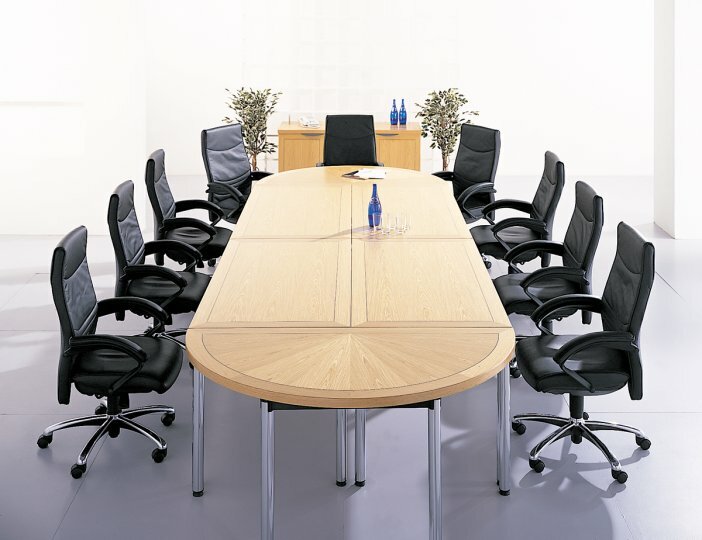 As with all of our boardroom tables the Harley range comes with Free Delivery to mainland UK. Choosing the right boardroom table for your space can be difficult, to make the process easier we offer a free design and space planning service, our team will produce a 3D visual of your space so you can see exactly how your new boardroom will look, our team can also provide design ideas and suggestions to ensure you get the best solution for your space and requirements. Contact our team today for more information.